Obituary for James A. Zwigart | McDonald-Aeberli Funeral Home, Inc.
James A. Zwigart, age 83, of Middlesex Twp., Valencia, passed away on Tuesday, November 20, 2018. Born on August 19, 1935, he was the son of the late Anthony and Hannah Hurley Zwigart. 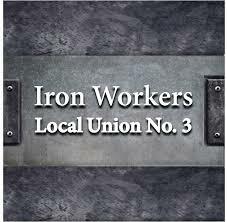 Jim was an Iron Worker for Local #3. Surviving are his wife, Anna Weber Zwigart of Middlesex Twp., who he married on August 24, 1959; a son, Robert Zwigart of Middlesex Twp; a daughter, Lisa (James) Tierney of South Park; grandchildren, Zachary and Ashley Zwigart, and Jayla Tierney; and a sister, Joan Fisher of Saxonburg. He was preceded in death by two sons, James Jr. and Michael Zwigart, and a grandson Austin “AJ” Zwigart. Friend will be received at the McDonald-Aeberli Funeral Home, Inc., 238 Crowe Ave. Mars, PA on Friday from 2-4 & 7-9 PM. Services will be held on Saturday at 10:30 AM at the funeral home. Burial will be in Allegheny County Memorial Park. Directions and condolences are available at www.mcdonald-aeberli.com.